Emma Barry is an observer and catalyst. Founding member of group fitness juggernaut Les Mills International and former Director for luxury-lifestyle brand, Equinox; Emma has inhaled senior roles in programming, product development, training and people. 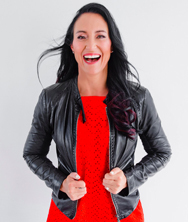 Emma consults to the fastest growing fitness segments: budget clubs and boutique studios, is a prolific writer, sought after speaker and mentor and is fluent in what happens NEXT in fitness. Emma contributes to global forums, trend panels and women’s events. She specializes in lighting fires under people and projects that need action - NOW. Daniel Freedman is the Co-Founder and Co-CEO of BurnAlong - described by INC Magazine as "Pioneering a New Approach to Wellness - That Actually Sticks.” On BurnAlong users can take online video classes from 100s of instructors across 30+ categories, and invite friends to join them in live private sessions for that extra social motivation. Daniel is the co-author of the award-winning, NYT top-10 bestseller, "The Black Banners", and a former columnist for Forbes. Daniel previously worked at intelligence consultancy TSG, the United Nations, tech company Apploi, and the U.S. Senate. He co-founded CyecureBox, a counter-espionage product. Daniel began his career at the Wall Street Journal and is a graduate of the London School of Economics.